Welcome in the deities of heaven and earth, and invite all your guests to come along and do the same with this Chinese New Year Invitation. 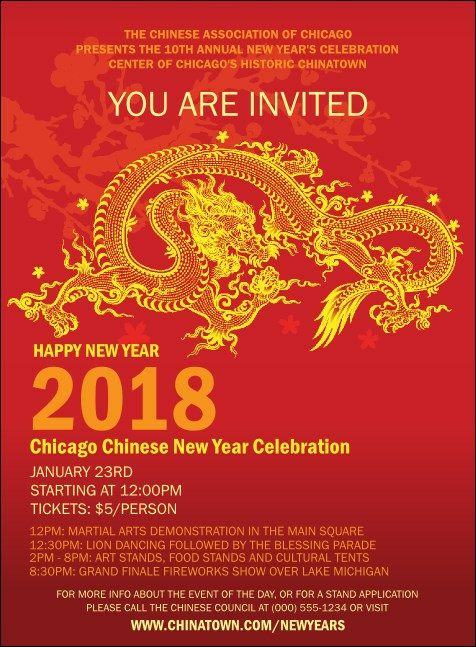 The head of a dragon is printed on the top of this event ticket template, along with security numbering and thirteen lines of text to customize with your event details. TicketPrinting.com helps you plan a prosperous event.